Learn how to retouch and restore photos using the world's premier free editing software! If you've ever wanted to learn how to retouch and repair less than perfect photos, but Adobe Photoshop is out of your price range (or you don't want to be tied to an endless subscription), here's the ideal option. GIMP (which stands for GNU Image Manipulation Program) is the free Photoshop alternative used by hobbyists and professionals worldwide. GIMP (www.gimp.org) is available for the Windows, Mac OS, and Linux/Unix platforms. GIMP is a powerful program that can be used to create digital art from scratch, or modify existing raster images. It's also an excellent choice for retouching and restoring imperfect and damaged photos, and it's not that hard to learn how! 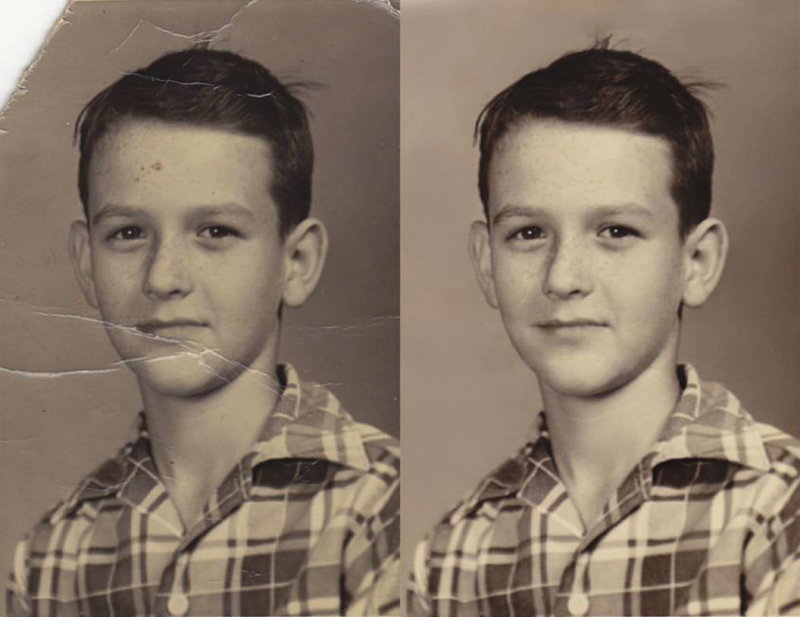 Beginning Photo Retouching and Restoration Using GIMP is the perfect guide; it provides you with step-by-step instructions that you follow along using the practice images provided. 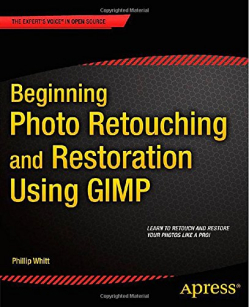 Adjust contrast and exposure to make dull images "pop"
Whether you're a hobbyist, photographer, genealogist, or the designated "family archivist", Beginning Photo Retouching and Restoration using GIMP is just the aid to help you become a photo retouching and restoration expert.